With the Bank Holiday upon us (the last one in the UK until December) and the possibility that at least a few days in the long weekend will actually be dry and hot, I thought I’d share a few simple ideas for some gin tonic serves to impress your guests this weekend. 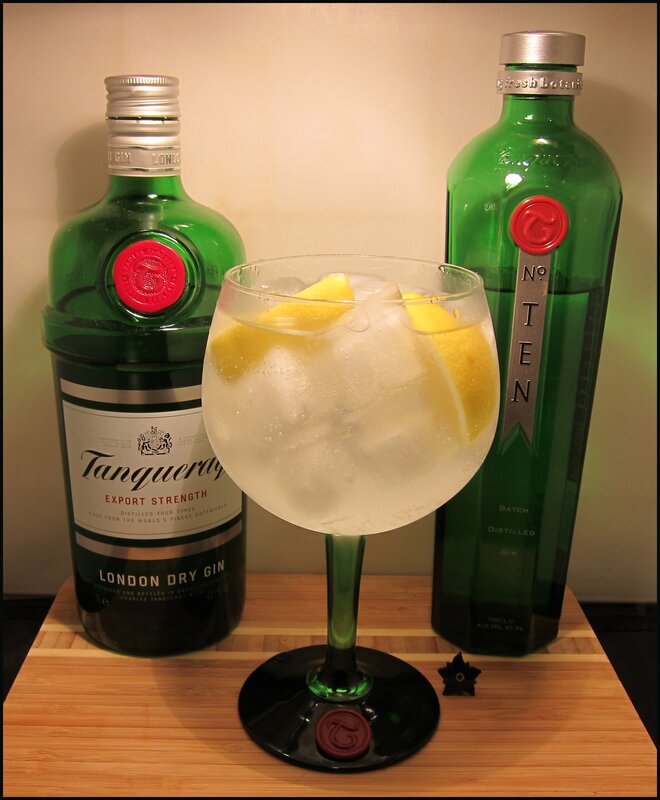 In this sort of heat (currently it is 28.8c here) I want a very cooling drink with plenty of ice, so a glass like the large copita/fish-bowl glass popular in Spain for the Gin Tonica is the best bet. It does take at least 8 cubes to fill one of these, however, so unless you have an ice maker, I suggest getting a bag or two of ice. If you don’t have a copita glass, than a large wine glass or stemmed beer glass (think the Stella Artois Chalice) will also work well. The stem helps to keep your drink cool, keeping your warm hand further away from the drink. Typically, I use between 25ml-50ml of gin and 150ml of tonic. 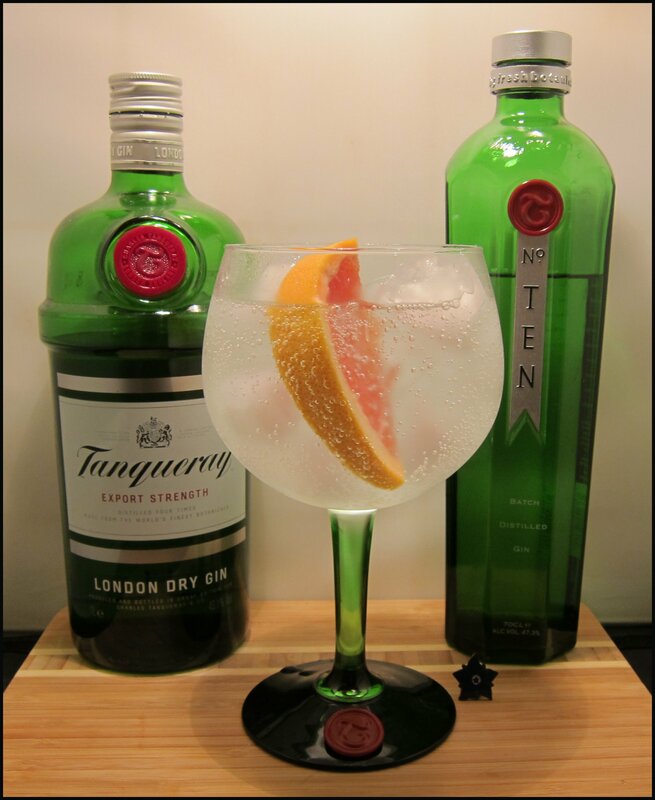 These are slightly weaker than many might usually enjoy their gin tonic, but these drinks are meant to be long and cooling, and too much alcohol in great heat is not a great idea. Plymouth Gin has a light sweet spice to it, which is balanced out nicely by the slightly sharp lime, whilst and the lemon complements the citrus in the gin. Martin Miller’s gin with Strawberries and Cracked Black Pepper. An unusual garnish choice on paper, but ever since one of the Miller’s brand ambassadors showed me this, I’ve been hooked. Fresh, succulent fruit works well with the refreshing nature of the gin, and the black pepper adds balance and bite. For an extra chill factor, use frozen strawberries. The gin itself is quite “green” – herbaceous and leafy – and the rosemary gives the drink distinctive, aromatic herbal notes as well as adding to the visual spectacle. The spinach adds more to the look than the aroma or flavour, although the leaves can also be a pleasant snack to munch on as you drink. I’m a big fan of Shortcross Gin from Northern Ireland and it has great mixability, including in a gin tonic. I’ve been experimenting with non-typical, but readily available garnishes and my good friend Julia Nourney suggested coffee beans to me. The beans add a deep, dark element to the nose, whilst still allowing the juniper to slip through. When you sip the drink, it is almost all about the gin, with just a little lusciousness from the orange. 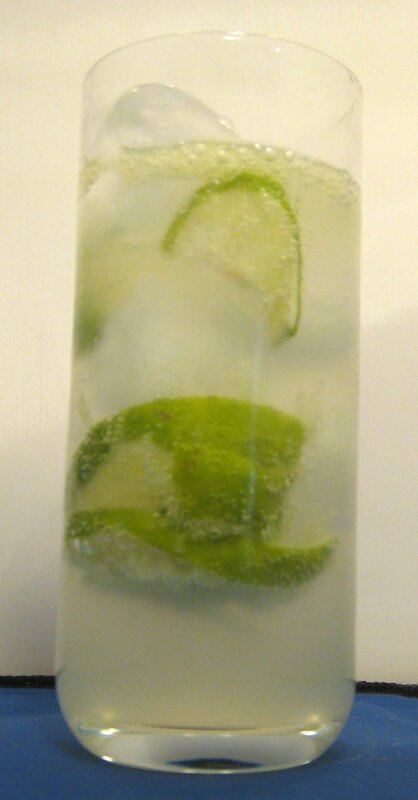 Almost a two-phase gin tonic. Putting gin with cola is seen by many, in the UK, as heresy, despite the fact that this is how gin is enjoyed in many countries in Africa and further afield. The only point that matters is – does it taste good? In my opinion, it does. Bombay Sapphire, with its complex botanical flavour and light pepper notes works really well with cola, creating a flavour that is reminiscent of an old-school botanical cola; there are even some dry, piney notes in the background. The orange adds a little zest, whilst the chocolate bitters contribute to the drink’s finish. 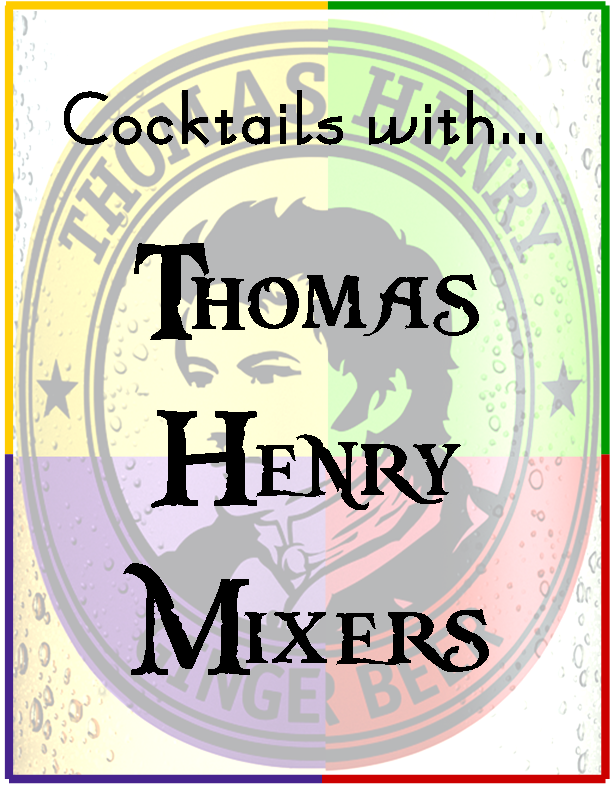 Summer drinking is meant to be friendly and fun; it’s a time to relax with friends and family. 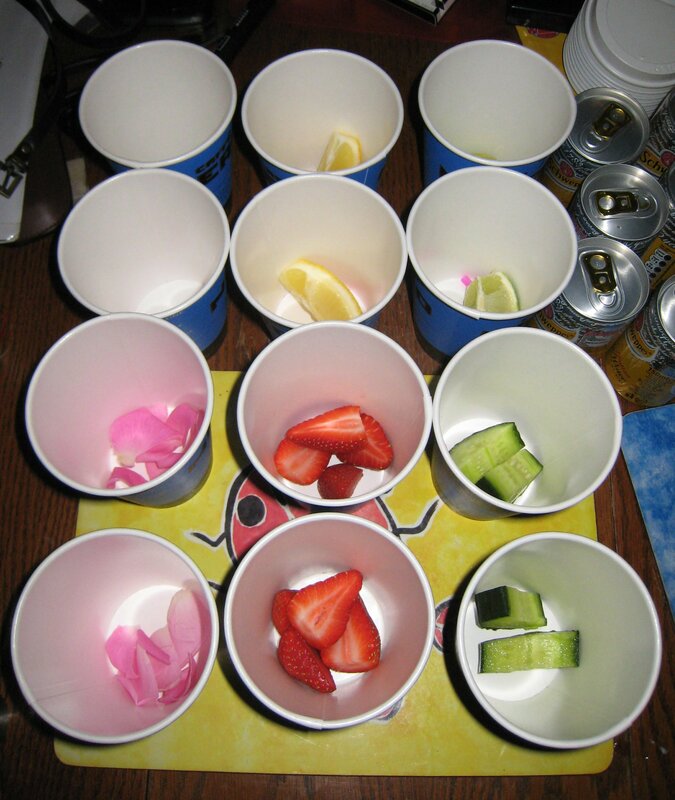 As such, the drinks should be fun, too. Hopefully this article has provided a little inspiration for you to up your summer drinks game. 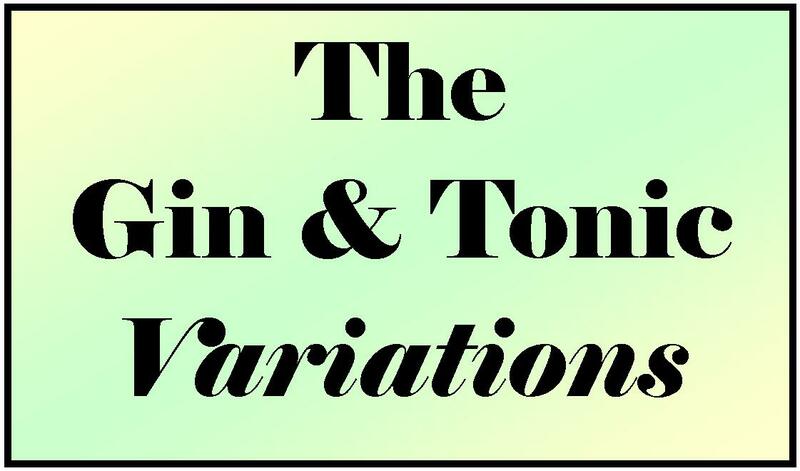 With Gin & Tonic on my mind today, regarding some edible experiments for Monday’s article, I started thinking about variations on the Gin & Tonic: something beyond “One part gin, two parts tonic and a wedge of lemon”. So, with a little online searching and some inspiration, I tried the following recipes. 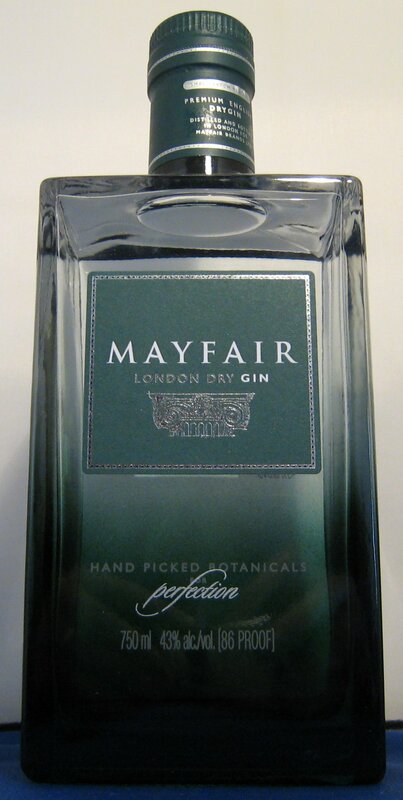 The gin of the day was Mayfair Gin, which is made by Mayfair Brands who also make a rather good vodka and have a couple more products in the pipeline. The idea behind the brand is to create a drinks brand that folks can trust when they are looking for a quality alcoholic beverage. Inspired by Caprihana, thanks to foodgawker for the recipe. With the added sugar, I was expecting this to be too sweet; I normally wouldn’t consider adding sugar to a Gin & Tonic, but, that said, given the high level of lime juice, I think the sugar does even out what would otherwise be a very tart drink. The lime makes the drink very refreshing and there is a very long finish of bitterness and tartness. 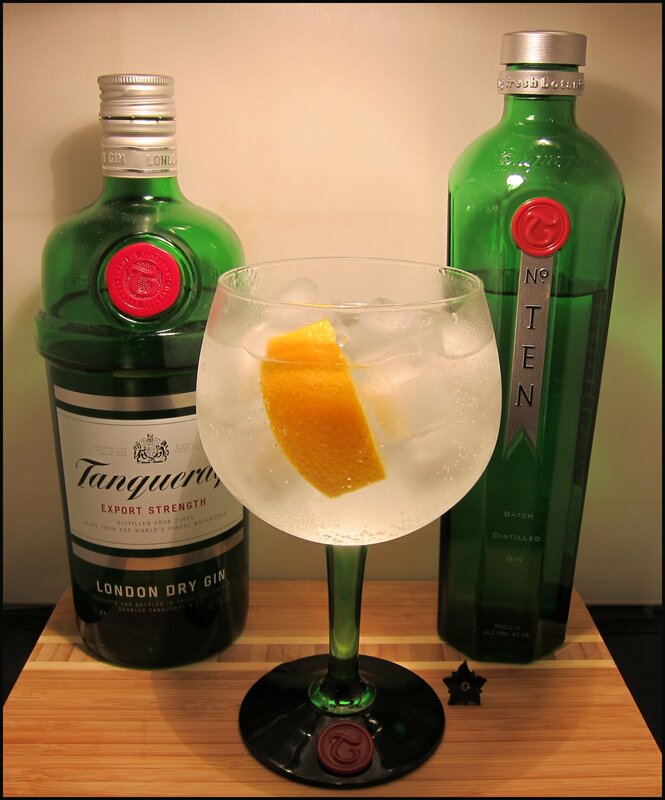 The gin seems to work very well and the juniper and earthy botanicals are clearly there, but not overpowering. This was a no-brainer, as it was a favourite of mine to enjoy after returning from a busy day at John Lewis; it’s a Gin & Tonic with a splash of Angostura Bitters. If you want to know James Bond’s take on the Pink Gin, click here. 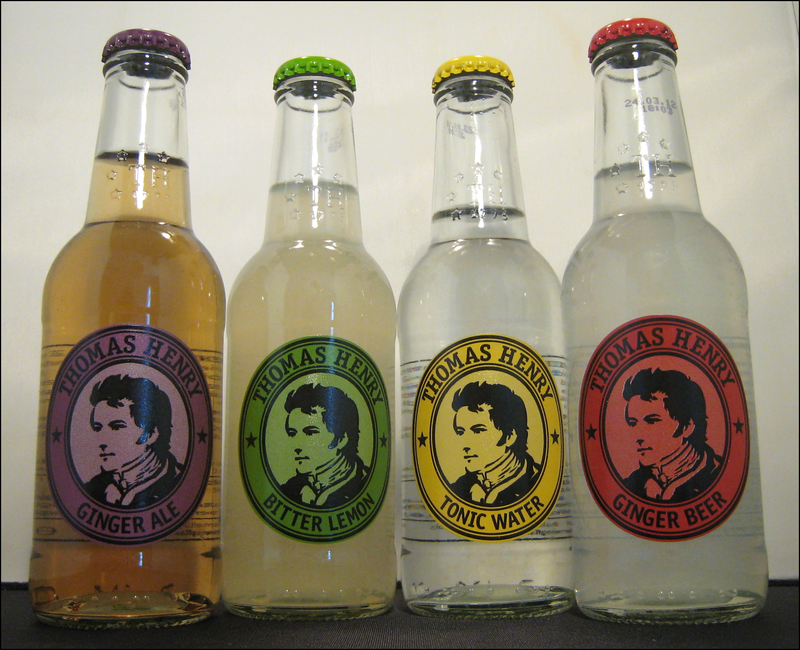 Refreshing, like a Gin & Tonic, but there is a little, sweet, herbal spiciness that may fool you into thinking that someone has splashed a bit of ginger ale into your drink. It’s been a while since I have had one of these, but I now recall why I liked them so much. 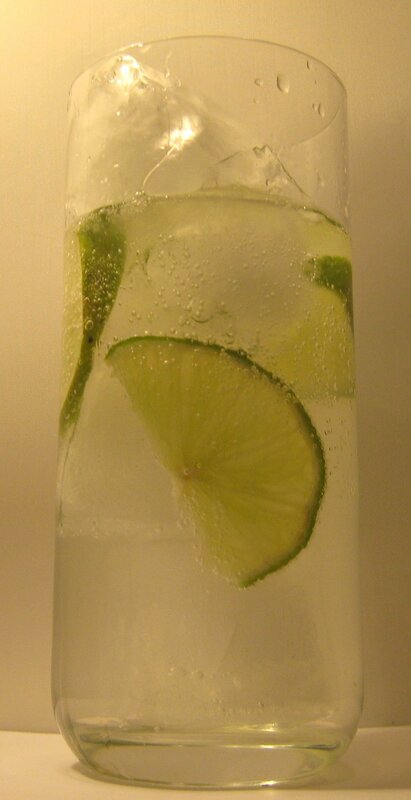 Cool and refreshing like a Gin & Tonic, but with that added depth of flavour. I might not drink these all night, but as the first G&T of the evening it’s a pretty good bet. This is one from Nigella: gin & tonic with added cassis. In theory, you could take this recipe and extend it to creme de menthe, Galliano, creme de violette, etc., but I can see the attraction to cassis as it is quite tart. For just a splash, the cassis has quite a pronounced presence, adding a sloe-gin like jamminess to the drink. It worked quite well and is pleasant enough, but for me those jammy, berry flavours are associated with winter and so it wasn’t one of my favourites. Mrs. B disagreed, as she quite liked it. Essentially a gin & tonic with a dash of creme de violette added at the end; the latter will tend to settle at the bottom, leaving a dark purple sunrise rising up the glass. This drink was still quite dry from the tonic and gin, but I got a very definite sweet, floral note form the violette. Given that the violette is inclined to sink to the bottom of the glass, you can either give it a stir or enjoy the subtle changes in the drink’s flavour as you gradually make you way to the bottom. This isn’t for everyone, but was certainly a nice twist. Garnishing with a lemon wedge both offset some of the sweetness and, from an aesthetics point of view, the yellow nice offset the purple. A recipe suggested by Ian Fleming and used by James Bond in the book Dr. No. 007 drinks these whilst he relaxes after a long flight to Jamaica. “Bond ordered a double gin and tonic and one whole green lime. When the drink came he cut the lime in half, dropped the two squeezed halves into the long glass, almost filled the glass with ice cubes and then poured in the tonic. 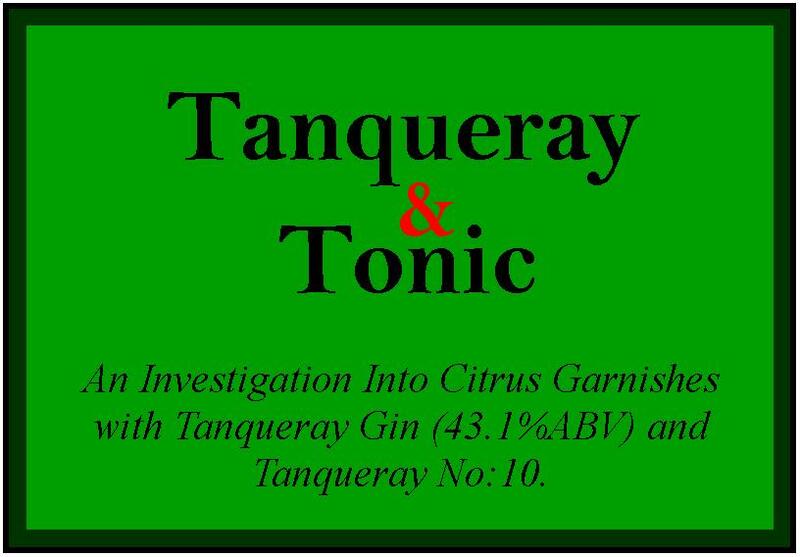 The high proportion of lime juice (equivalent to half the amount of gin) appears on the flavour profile of this drink before the familiar flavours of gin and tonic, making it deliciously tart and refreshing. 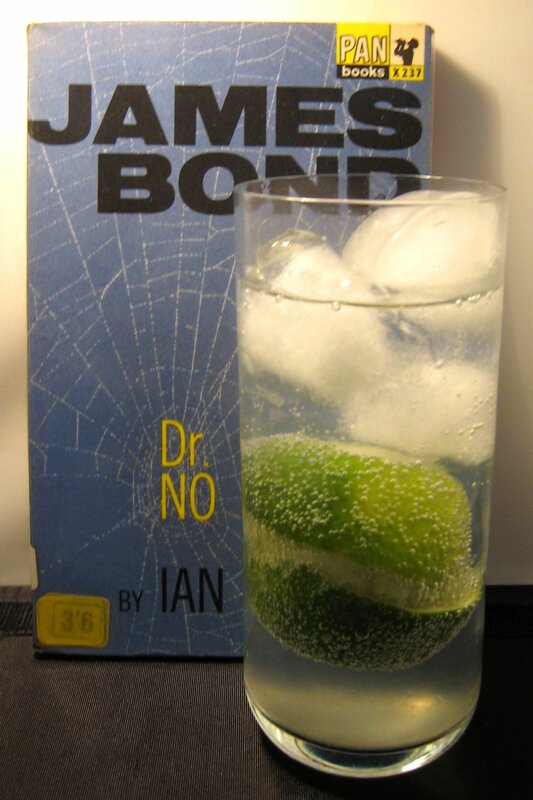 When I first tried this, I thought that the lime juice would overpower the drink, but I was pleasantly surprised by how well-balanced the drink is; Ian Fleming certainly knew his stuff. This comes from Pete Wells who discovered, whilst travelling in the Yucatan, that Mexican bartenders, when making a Gin & Tonic, use lime as an ingredient, not just a garnish. 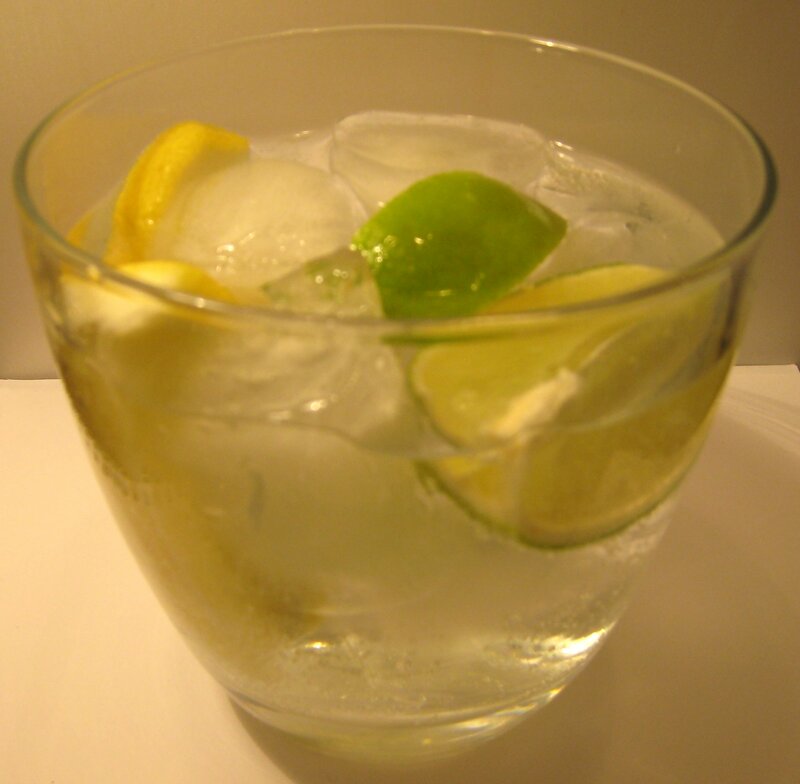 I quite like the addition of lime juice to a gin & tonic in addition to the garnish; like anything tart, it is thirst-quenching and good for a hot day. 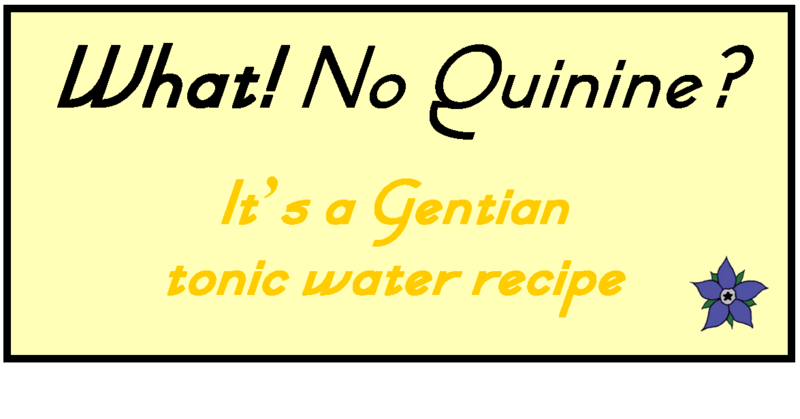 I think this drink works well with a relatively clean tonic, such as Fevertree Regular, rather than a more flavourful one (whilst good in their own right) such as Fentiman’s or one of the Mediterranean tonics. This variation opens up a door of similar innovation using lemon, grapefruit, orange etc. as a substitute for the lime, but that’s for another day. 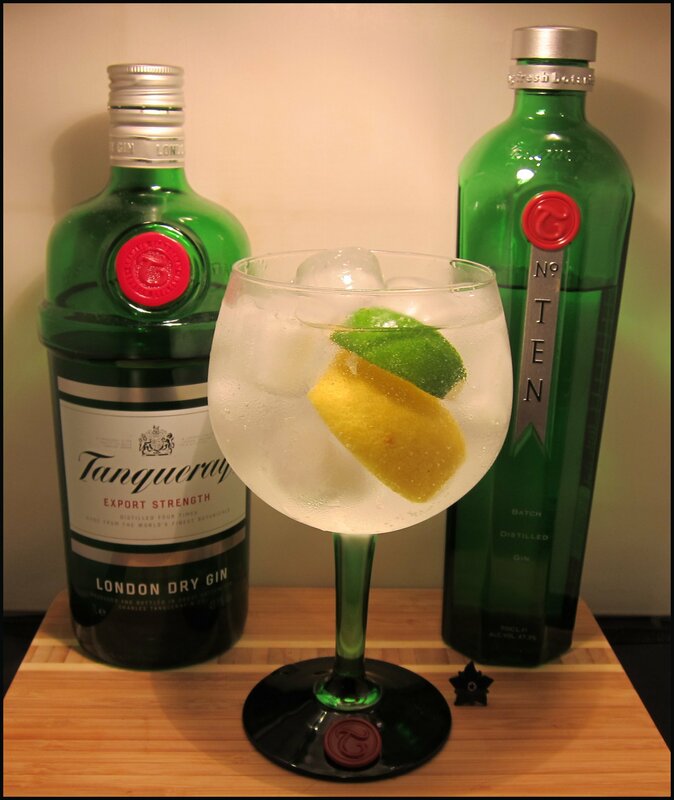 Invented by the world-famous British Gentleman, Robert Evans**, this is the closest to a classic G&T that we’ll get to today. 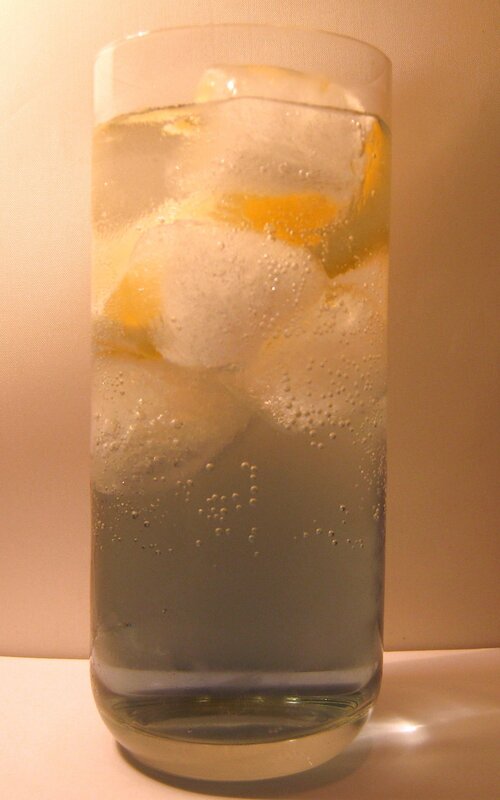 This drink uses a standard 2:1 tonic to gin ratio, using Waitrose tonic and garnished with both lemon & lime. This easily answers the debate of lemon vs. lime as a garnish: be decadent, use both! Another essentially element to an essential Evans is for it to be ice cold, so plenty of ice is needed. 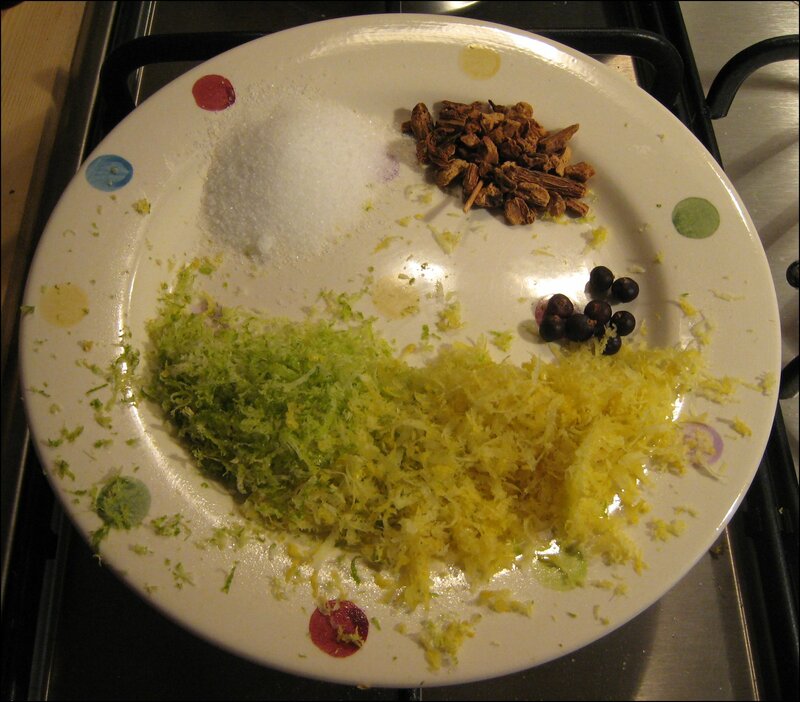 Usually, I would be more restrained and use only one wedge of lemon and one of lime, but, as I was using up the last of the fruit, I thought that I would go the whole hog and use two wedges of each. 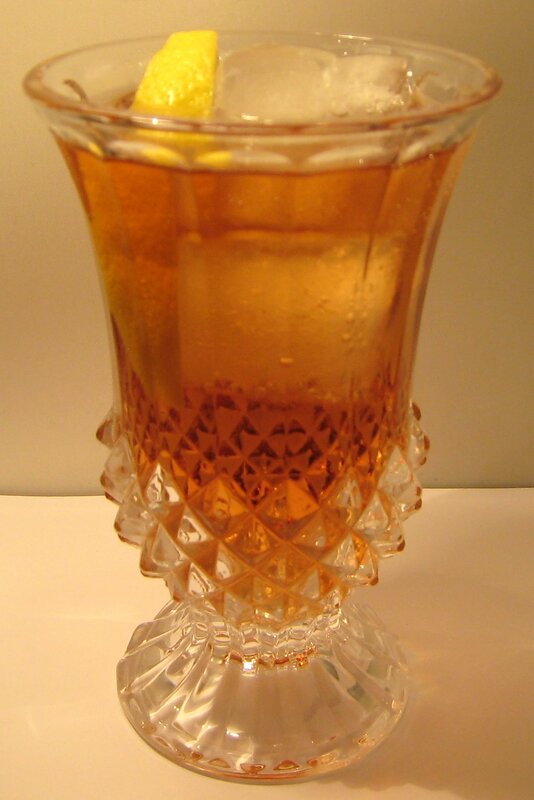 The result is an invigorating drink: the citrus is sharp and bright and makes it delightfully refreshing; there is also a nice contrast between the bright yellow, green and the silvery white of the ice cubes in the glass. If you want a full-bodied gin & tonic, this may well be the choice for you! So there we have just seven ideas of gin & tonic variations and, hopefully, there are some ideas in there for you to experiment with yourself (please feel free to share any new creations in a comment). With variations there is always a temptation to fall into drinks snobbery, but, really, if it tastes great, what does it matter? *For those of you familiar with the UK consumer money-saving magazine, a Witch? cocktail would probably be a rather bargainous G&T somewhat akin to this. ** Recent star of the Jon Stewart’s “Daily Show” in the USA. Soft with a full mouth feel, almost like a marshmallow. strong juniper and some earthiness like orris. A little burn and a medium finish but pretty good. 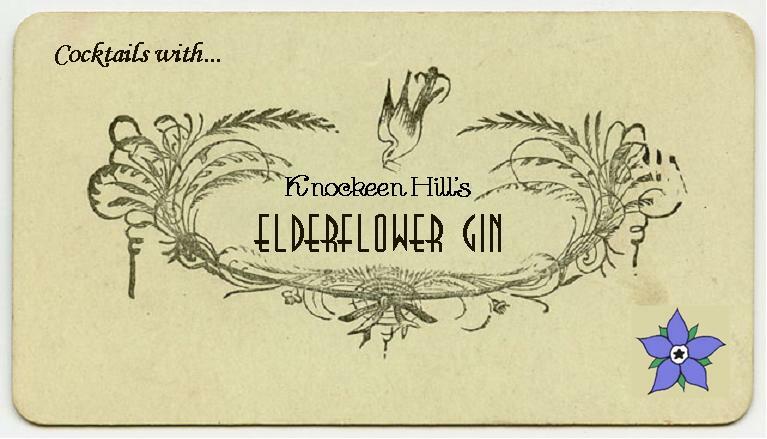 Not content with the success of their Irish Poteen and Heather Gin the folks at Knockeen Hills decided to release another product, an elderflower gin that uses elderflower as one of the botanicals, this is not a very common botanical to use and is a tricky ingredient to get right. Bottled at 47.3%ABV Knockeen Hills uses a base Irish Spirit that is distilled five times and the botanicals it uses are steeped for 24 hours. 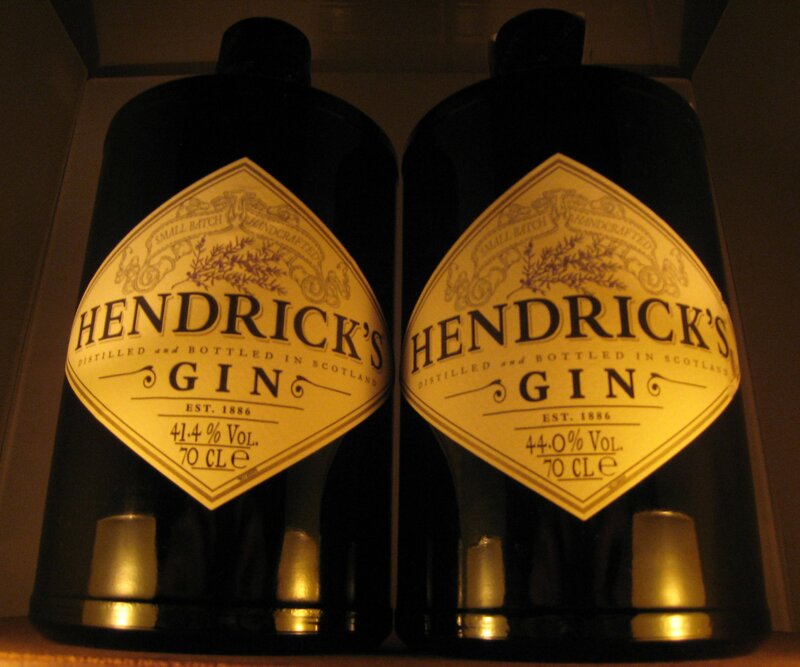 It is described as “London Cut” which means in addition to being a London Dry Gin it is, distilled and cut in London. Good nose, medium amount of juniper with some floral notes. Great warmth (not burn) on the tongue with juniper and elderflower. Not overpowering and subtle. The warmth of the texture intrigues me. 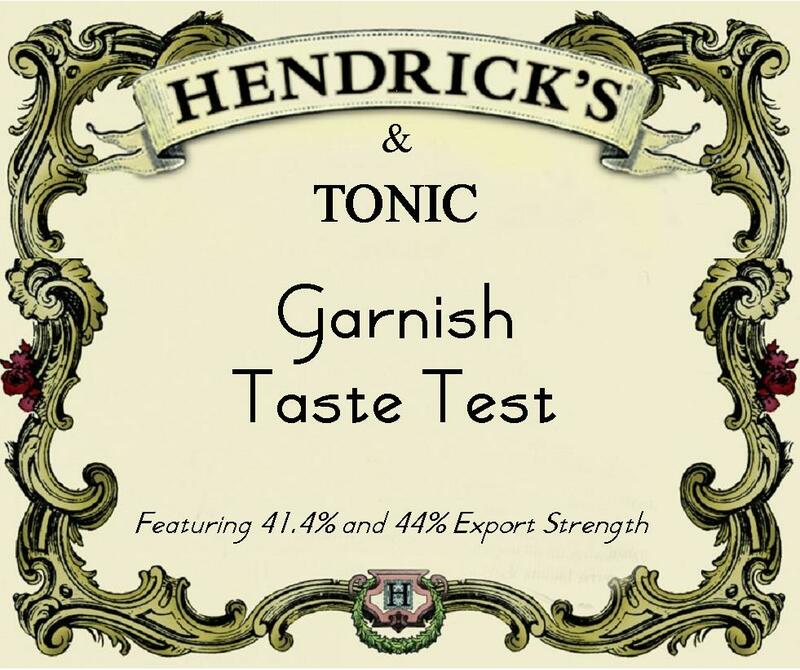 This makes quite a strong Gin & Tonic (the gin is 47.3%). The very heart of the gin seems to come through with a floral taste at the back of the mouth; the straight-forward juniper flavour is followed by the dryness from the elderflower. It’s interesting, because elderflower is often associated with something sweet (cordial, liqueurs, etc. ), but this is definitely dry. Mrs. B was very fond of this drink, as it reminded her of cut green apples. I used some home-made vermouth for this martini, which complemented the Gin quite well and seemed to give the drink more flavour than usual. Knockeen Elderflower Gin does not make a classic Martini: it’s not so clean and crisp as others, but it is not overpowering and has a lot of character. I like this drink and it makes a nice change. 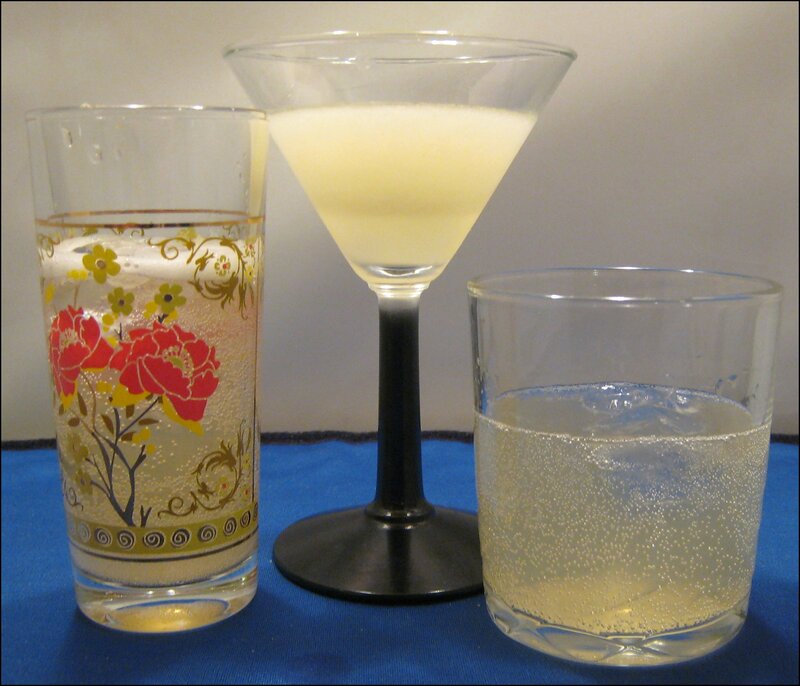 An unusual Gimlet; less sweet than usual and, in the middle of the taste profile, the drink has a remarkably clean edge, almost Martini-like. There were subtle notes from the floral elements and the gin stands up well to the lime cordial. There’s some great interaction of the elderflower and other floral elements with the violette and maraschino in this drink; it’s complex, but the flavours are all in equilibrium. Very tasty. This Collins is, like many, a wonderful cooler. It is very refreshing, but sadly the gin is a little overpowered. Very tasty; there’s equal intensity from each of the various ingredients, all combining to produce a fresh drink that reminds me of Spring. Crisp & delicious. Fresh and crisp, perfect for Spring or early Summer. There’s a good amount of juniper and distinct floral elements on the finish. I increased the proportions of Gin for this one, so that some of the dry muskiness of gin comes through. The Knockeen Elderflower contributes more to the cocktail that most other gins that I’ve tried. The Gin Bump was a disappointment as the sweetness of the ginger ale clashed with the floral notes of the gin. Not recommended. Pretty strong; you seem to feel the full whack of the 47.3% in this drink. It seemed to warm me up, rather than cool me down (which a gin sour typically would do), and, flavour-wise, it doesn’t do the Gin justice. This was an idea for a cocktail (if you can call it that) that just occurred to me: I simply added half a teaspoon of simple syrup to a measure of Gin. I was surprised at how well it worked and how it brought out a new dimension of flavours: it was almost like an elderflower liqueur, but tasted more complex. In a similar way to the White Lady, this was balanced, simple, tasty and enjoyable to drink. Fast becoming a new favourite of mine, the Gin Old-Fashioned with Knockeen Hills Elderflower is delicious. 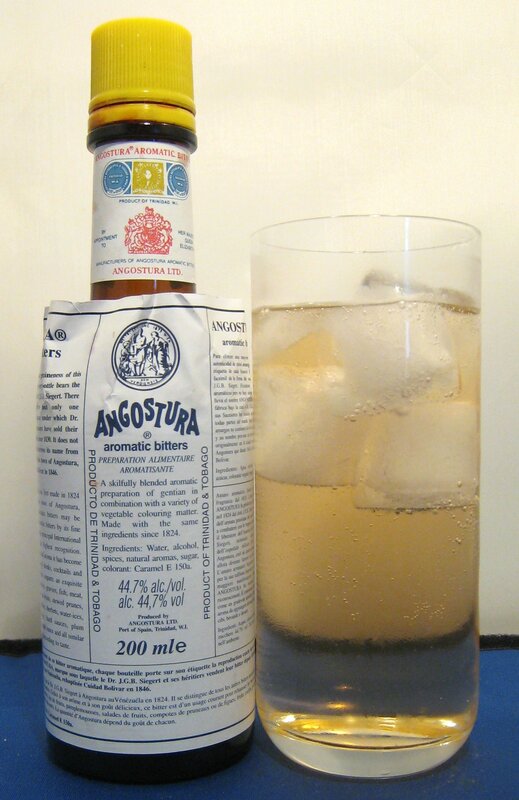 Sugar sweetens up the floral elements (just like the Sweet Gin) which stops the Angostura from dominating the drink. This is a superb way to enjoy the gin. Knockeen Hills Elderflower Gin is crisp and flavourful. The floral elements lend themselves well to a variety of cooling drinks, making it perfect for Spring or Summer (although I am still enjoying it during Winter!). Sometimes I think that when gins highlight one, single, botanical it can be a bit gimmicky and the rest of the gin profile seems to suffer, but I don’t think that that is the case with this gin. Cocktail highlights included: Gin & Tonic (especially James Bond style), the Gimlet, the Aviation & the Gin Old Fashioned. Knockeen Hills Elderflower Gin is available from The Drink Shop here: for £26.44 for 70cl.